Above: traveling mode with the pod stowed away. 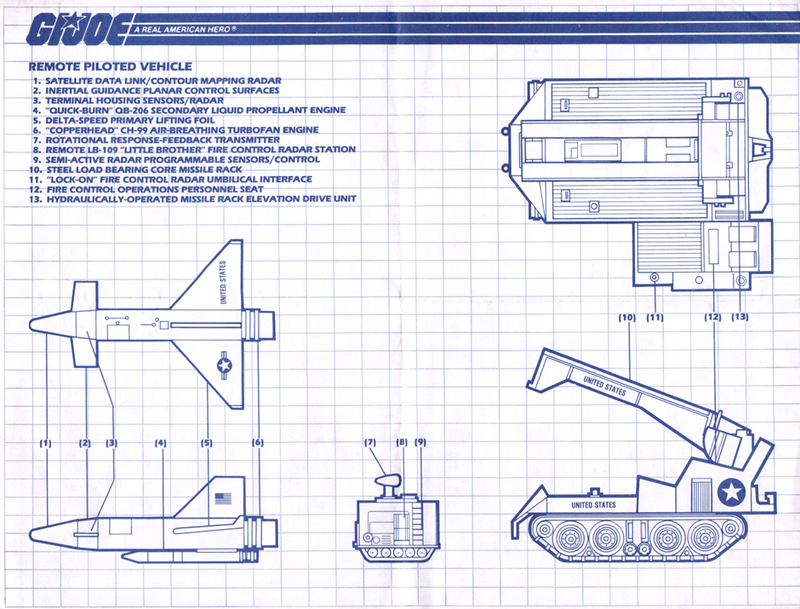 Below: the pod has been unloaded. Remote piloted drone with "Copperhead" turbofan engine. Remote LB-109 "Little Brother" fire control radar station. R.P.V. courtesy of Crowemag Toys. Check out their store for tons of vintage Joes! 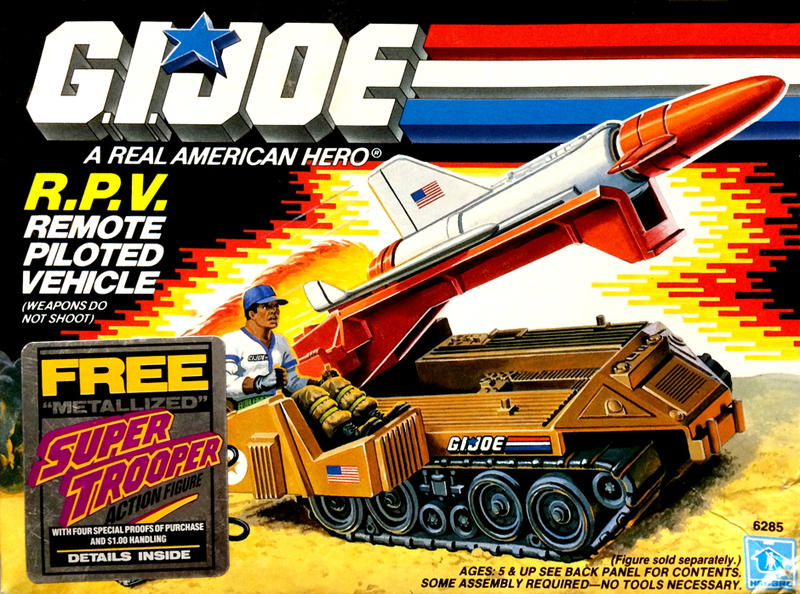 NOTE: Although the box art showed Hardball manning the R.P.V., and he's pictured above, Hardball did NOT come with the R.P.V. R.P.V. box photos courtesy of Crowemag Toys. 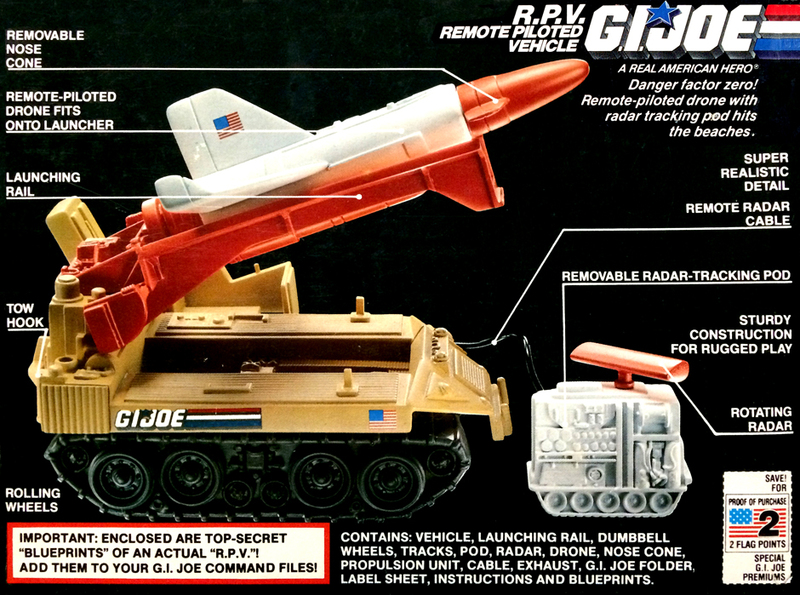 Check out their store for tons of vintage Joes! R.P.V. 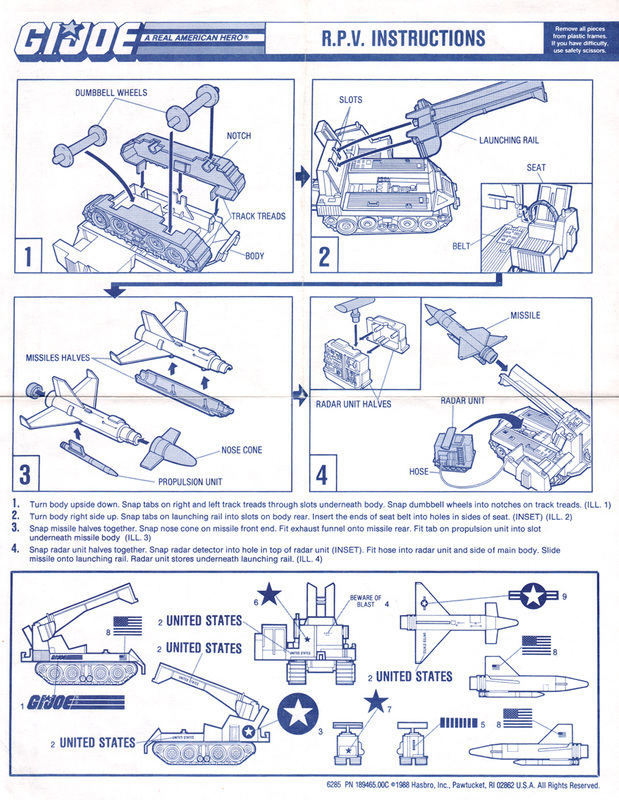 blueprint/instructions courtesy of YoJoe Outlet.